German carmaker BMW’s chairman, Norbert Reithofer, has announced six new vehicles as part of their aggressive approach to future marketing of its brands, with six new models which the manufacturer hopes will see it sell 1.8 million vehicles globally by 2012. The projected new models come in the wake of falling profits, and Reithofer stated that his objective is to double its return on sales to between 8-10 percent by 2012. BMW also predicts the premium segment will have grown by 40 percent by 2019, which is double the expected growth in the same period for the mass market. The first of these new vehicles is the X1, a ‘baby’ off-roader to add to the X3 and X5 luxury 4WDs. Adding to this, there will be a Mini branded 4WD and a cheaper, smaller Rolls-Royce. The other vehicles projected for the future includes a four door based on BMW’s Concept CS, a coupe version of the Rolls-Royce Phantom, and a new niche vehicle BMW is calling a Progressive Activity Sedan. Reithofer says the four door GT is based on the Concept CS shown at the 2007 Shanghai motor show, which will replace the 7-Series at the top of the BMW offerings. This new GT will, however, share the same platform as the 7-Series and will hit the marketplace to challenge the high performance Mercedes-Benz CLS63 AMG and forthcoming Porsche Panamera. Also on the new 7-Series platform is the proposed small Rolls-Royce, smaller and cheaper than their current Phantom, which is going to get a coupe version of the behemoth. And just what is the Progressive Activity Sedan? It will be a new market segment, according to Reithofer and is described by BMW as a “unique interpretation of the sedan offering a wide range of intelligent features”. Sounds as if it has a “go to the shops on your own and get me a bottle of milk” mode, as well as perhaps the self-parking capabilities of the Volvo YCC concept. “Go park yourself,” being the operative voice recognition command, I suppose. 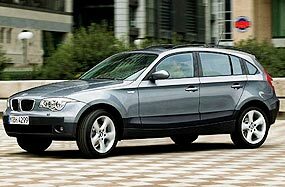 BMW also confirmed the long-rumored X1 baby off-roader that will sit beneath the X3 and X5 luxury 4WDs. This will very likely share platforms with the Mini 4WD, and perhaps even the 1-Series itself. Last week I asked which racing car was the first Lotus rear-engined single seater? It was the Lotus 18. So to this week. The first manufacturer to produce a million cars in one year was Ford in 1922. When did the first European manufacturer manage this, and what was the car? Dark outlook for Asian F1? There has been an upsurge in interest in motor sport in Asia, with now the manufacturers becoming involved (Toyota and Honda in particular) and that is good. I believe that Asian grass-roots motor sport is almost back up to the pre-1997 economic crash levels, and will continue to get stronger. So why the “dark outlook”? The answer to this hinges on the fact that the F1 supremo, Bernie Ecclestone, is pushing Asia into the dark, or into the night at least. If you have been following the overseas media, they have all been full of the fact that Ecclestone has told the Melbourne Grand Prix promoters that if they want the contract to run the Australian GP to continue after 2010, the race will have to be run at night. Singapore had its hand up to run its new GP, and likewise they were told it’s a GP under lights as well. Malaysia’s Sepang circuit has also been told that the future for them in F1 is under lights. So why this pre-occupation with sport under lights, while the rest of Asia is being told to cut down their use of fossil fuels and electricity? Here’s our man Bernie, the promoter of the top category of fossil fuel burners in the world (and ignore the ‘green earth’ Honda F1 project, as it was a publicity stunt and nothing else), now suggesting (or even more than suggesting) that the circuits will have to turn on its lights as well. And make no mistake, it is the circuits that will have to provide the illumination. An F1 car cannot run with headlights on stalks popping up from the bodywork. Now night racing is not new, and in fact I was a regular competitor at the Oran Park night race meetings in Australia. There is something really exciting about running in the dark, the exhaust crackles just that little bit more, the car runs better in the denser air, and with your own headlights carving through the blackness, it just adds that new dimension. But that cannot work for F1, for the reasons given above - they don’t have headlights. So why is Bernie so adamant? The real reason is television viewing figures. The interest in F1 has been waning over the past few seasons. The numbers are down, because F1 is no longer as exciting as it used to be. Overtaking? What’s that? Unfortunately, “that” is what the fans want to see. They want drivers fighting tooth and nail, passing and re-passing. The entire gladiatorial contest. But they’re not getting it! But Bernie can see that by getting the viewing public in Europe watching at the same mid-afternoon slot that they do for the European rounds, even though the Grand Prix is in Asia, that is the answer. This will mean the Asian races will have to start around 7 p.m. local Asian time. When it’s dark! There are many problems to be overcome. Just take these examples. The modern F1 car can easily do 300 km/h. I have driven at that speed - in daylight - and you need perfect vision and a bright sunny day to see all the imperfections in the racing surface, oil on the racing line or slow turtles. Don’t laugh, it has happened! So how are the Grand Prix promoters going to be able to supply that amount of illumination? Flood lighting must be the way to go, but the lights themselves will have to be high enough up that the drivers are not distracted by glare, and believe me, the race helmet visor material and the tear-offs are very much subject to glare. It is also not an enclosed playing field, but several kilometers of road that makes up a race track. The amount of illumination needed would be very much greater than a football field. And every bit of the track has to be illuminated as good as daylight. This is certainly a Herculean task. However, an Australian company says it has produced the lights, and now just waits for camera and action. So we have the situation where Bernie wants floodlighting, but some poor Asian promoter will have an enormous capital outlay, for something that might not have a good return financially. Who is going to take that risk? One thing’s for sure - Bernie won’t! And Renault follow suit with another 12! 2008 looks like being a bumper year as the manufacturers all try to grab whatever market share they can, and for most of the Europeans this will be done by enlarging their market to include India and China. Carlos Ghosn, the man who turned Nissan around and heads the conglomerate of Renault and Nissan gave a taste of what is forthcoming during a trip to Brazil, his birthplace. 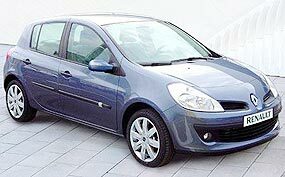 The occasion was to reveal Renault’s first car made outside of Europe to Brazilian President Luiz Inacio Lula da Silva. 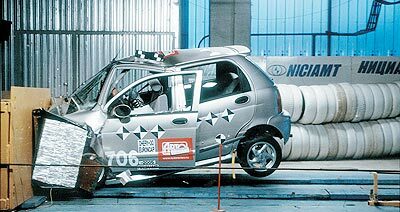 Called the Renault Sandero, it is being built in a Brazilian factory for the national market and for export to neighboring South American countries. Word was already out that Renault will be producing a budget car for India (in India) to compete against the local Bajaj. This will cost just 3,000 USD. “The big question is what will have to be done to bring this car up to export quality. It will have to be modified, sure - and what will be the cost of these modifications so it’s viable? Logically, Brazil would be a natural market for such a car,” Ghosn told reporters in Brazil. The question about how much it would cost to bring such a low priced vehicle to export quality is a real one. Much was made of the cheap and cheerful Chinese Chery which was going to flood the western market until it failed miserably in the compulsory crash testing required for Europe. Renault’s overall worldwide sales figures have remained stable (a drop of 0.1 percent only), but the numbers have stayed up with Renault’s non-European sales which account for 33 percent of production. In Brazil alone sales estimates are for 73,000 vehicles by the end of this year. Brazil “is one of the strategic markets (for Renault) for the future, along with Russia, China and India,” Ghosn said. F1 - Four seats left - put your money down now! There are still four seats left with no driver in the F1 line-up for 2008. However, you would have to be fairly desperate to want to fill the four of them! It is honestly a shame to see Fisichella openly hoping to get a ride in a Force India. It’s the dizzy downward spiral of failure, after coming from the team which won the championship two years ago. The four seats are Force India (two) and Super Aguri (two) after the second McLaren one was filled. And you didn’t have to be Einstein to work out which one was the plum ride. At the time of going to press, the seat vacated by Alonso, the sulky Spaniard, has gone to Heikki Kovalainen, who was unceremoniously dumped by Renault, apparently because the returning Alonso did not want another quick driver alongside, after his loss of face against Hamilton this year. The other teams of Super Aguri and Force India are never going to win anything, or even make the podium, unless 19 drivers manage to take themselves off in the biggest display of mass hara-kiri ever known to mankind. The teams that are settled are Ferrari (Raikkonen and Massa as per 2007), McLaren (Lewis ‘wonderboy’ Hamilton and Kovalainen), BMW (Heidfeld and Kubica unchanged from 2007), Renault (Alonso and Piquet both ‘new’), Williams (Rosberg and Nakajima as per end of 2007, with Hulkenberg as test/reserve), Red Bull Racing (Coulthard and Webber as 2007 with both waiting for their pensions), Toyota (Trulli and Glock with one a pensioner and the other a new face), Toro Rosso (Bourdais and Vettel, which could surprise) and Honda (Button and Barichello also lining up at the pensions desk as they did in 2007).